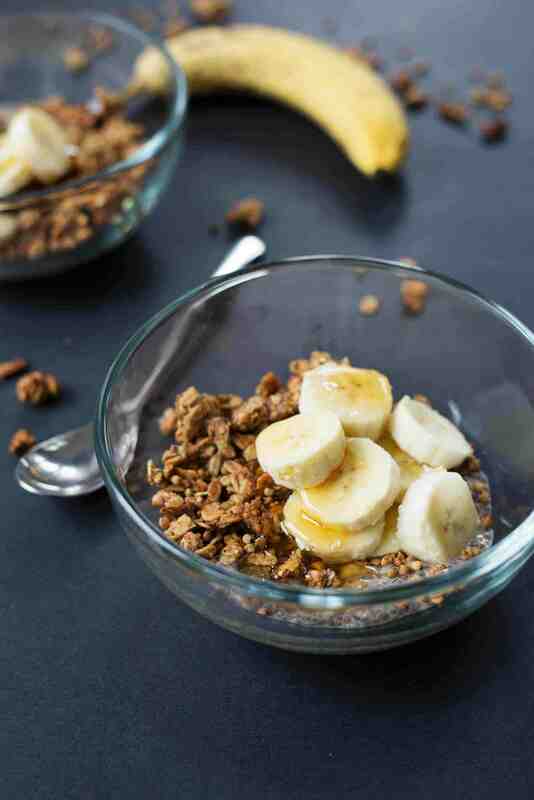 Banana Bread Chia Pudding with Buckwheat Clusters! 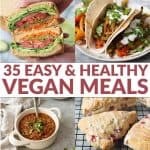 A yummy vegan and gluten-free breakfast. Well, this week has been a nice taste of real, real life. I’ve spent the last five days in Virginia, watching my two adorable, amazing nieces while my sister’s nanny is on vacation. My initial thoughts? What a fun opportunity! I can technically work from anywhere and I love the idea of getting to spend as much QT with my two favorite humans as possible. Enter real life. I think I’ve responded to 5 emails over the course of the week and barely gotten in one post. I love that I honestly thought I would be able to literally do-it-all. Watch the girls, get my work done and still have some time to visit with high-school friends. My friends with kids, I can hear your laughing from here. Obviously, those plans got thrown out the window the moment I realized that it doesn’t quite work that way. You get one to focus on; any more than that and you are barely pulling by. Work will always be here, right? I bid farewell to any responsibilities that weren’t immediate and pressing and have spent the week cuddled on the couch, playing legos, playdoh and Paw Patrol. It’s been a fantastic exercise in priorities and flexibility. Thankfully, I was able to find five minutes to hop on and share one of my favorite new breakfast items with you- this banana chia pudding. I’ve been on a chia kick for a while now, infusing as many flavors as I can into a basic chia pudding. 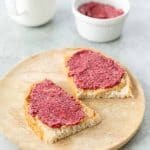 It’s so easy to put together, the texture is perfect for breakfast and the health benefits can’t be beat. Since I’m all about textures, I paired this banana chia pudding with banana buckwheat clusters, more banana and a drizzle of honey. Simple, delicious and incredibly nourishing. 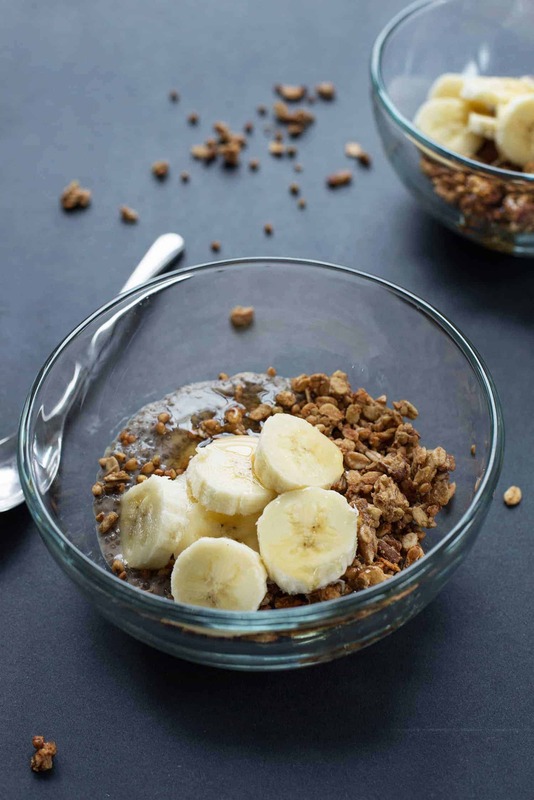 Banana Bread Chia Pudding with Buckwheat Clusters! A yummy vegan and gluten-free breakfast. Clusters adapted from Kylie. Stir together the oats, groats, cinnamon, salt and pecans in a large bowl. In a separate bowl, mash together the banana, peanut butter, vanilla, oil and maple syrup. Pour the wet ingredients into the oat mixture ingredient and stir everything together until clumped. Line a baking sheet with parchment paper and add the granola to it. Spread out in an even layer and bake for 20 minutes, stirring halfway through. Check around minute 15, it should be golden brown when done. Remove from oven, but don’t stir. 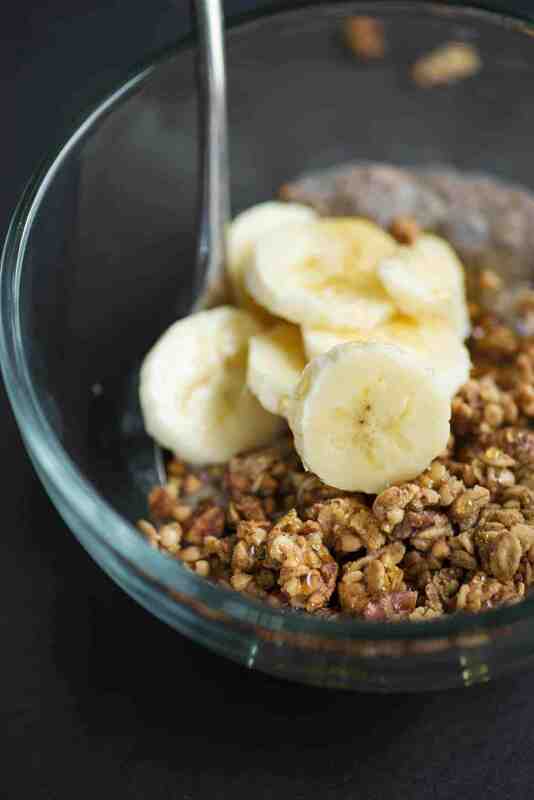 Allow the granola to cool on the pan for at least 30 minutes. When cool, crumble into clusters and place in a container to store for up to a week. Make the chia pudding: combine all the ingredients in a bowl and place in the fridge overnight until gelled. 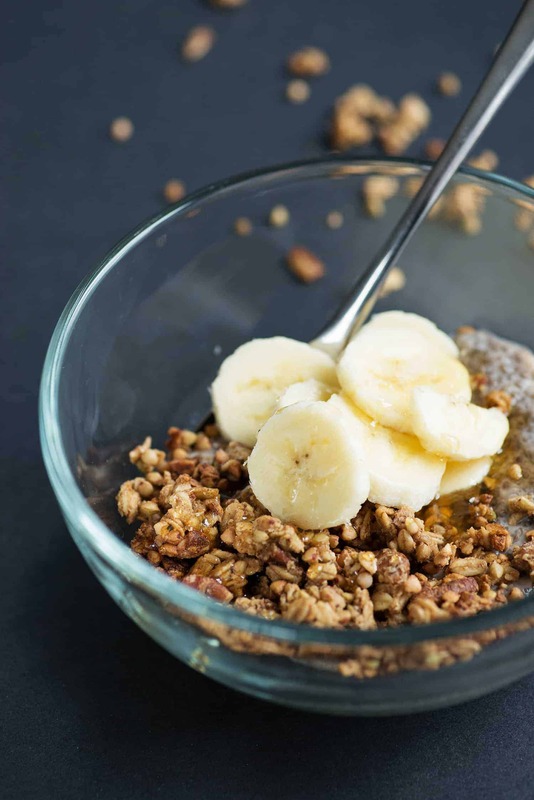 When ready to serve, place some of the chia mixture in a bowl along with granola and sliced bananas. Drizzle with maple syrup, if desired, and serve. Those clusters! <3 I'm a sucker for a chia pudding + granola combo. Enjoy the time with your family!